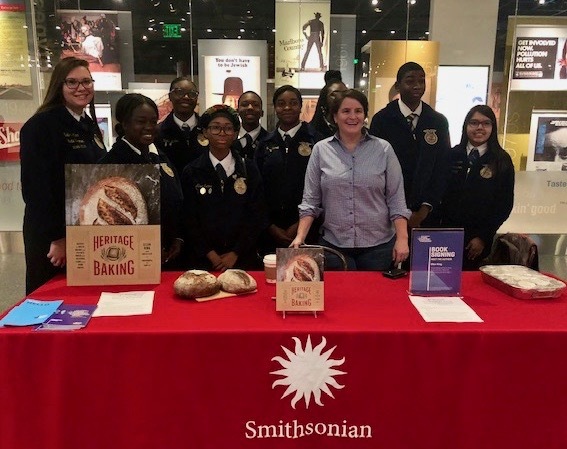 If you have purchased a copy of Heritage Baking and have started testing out recipes, mark your calendar for a special event at the bakery, scheduled for Wednesday, January 23rd at 6pm. That night, attendees can bring in and share samples of items they have baked from the book! 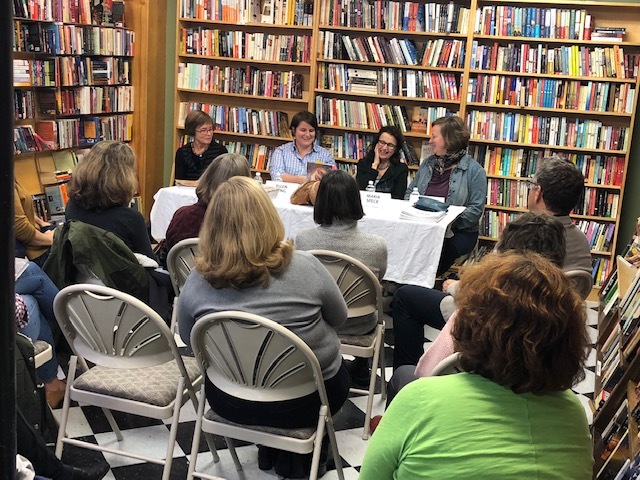 We will discuss the process and the results of your Heritage Baking experiences, and enjoy a dinner of flatbreads, salads and Evanston sourced beverages. More details regarding tickets for this event will follow in the coming weeks via our next Newsletter and Hewn’s social media sites. In the meantime, take some pictures of your results and hashtag #hewnbread and #heritagebaking on Instagram. Your photo might be featured and credited on Hewn’s Instagram account! 1. Place your order with 48 hours (2 days) notice. We will start accepting pre-orders Wednesday, November 28th. 2. Order in person at the store, via email at hewnorders@gmail.com, or over phone by calling 847-869-HEWN. 3. 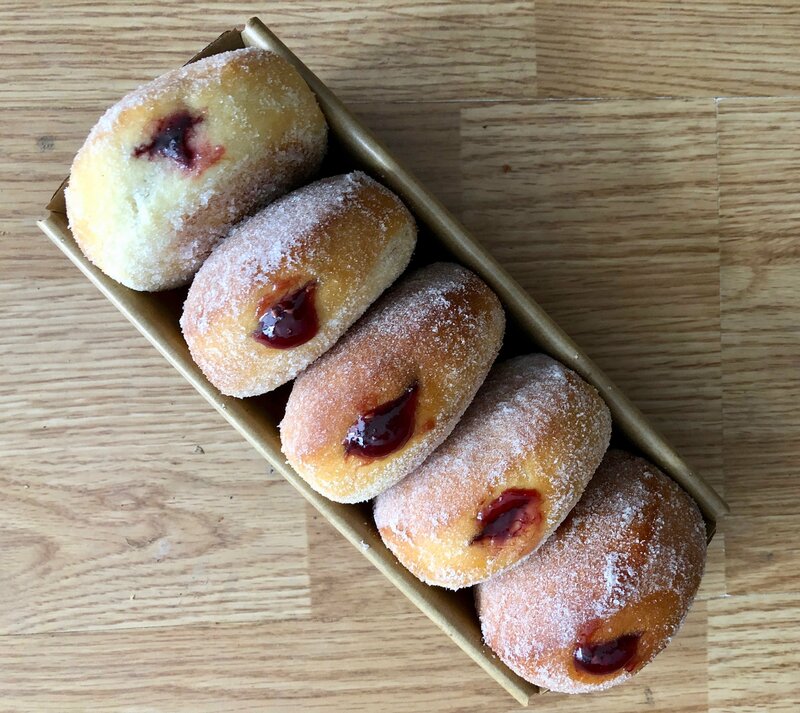 There is a limit of 6 Sufganiyot per customer per day and we cap our daily production at 100. So, get your orders in fast before we reach our limit! Christmas Eve Breads: Garlic Parmesan, Caramelized Onion Rye, Potato Rosemary, Whole Wheat Seeded, Turkey Red and Country. Dinner rolls (traditional and wreath) will be available as well. 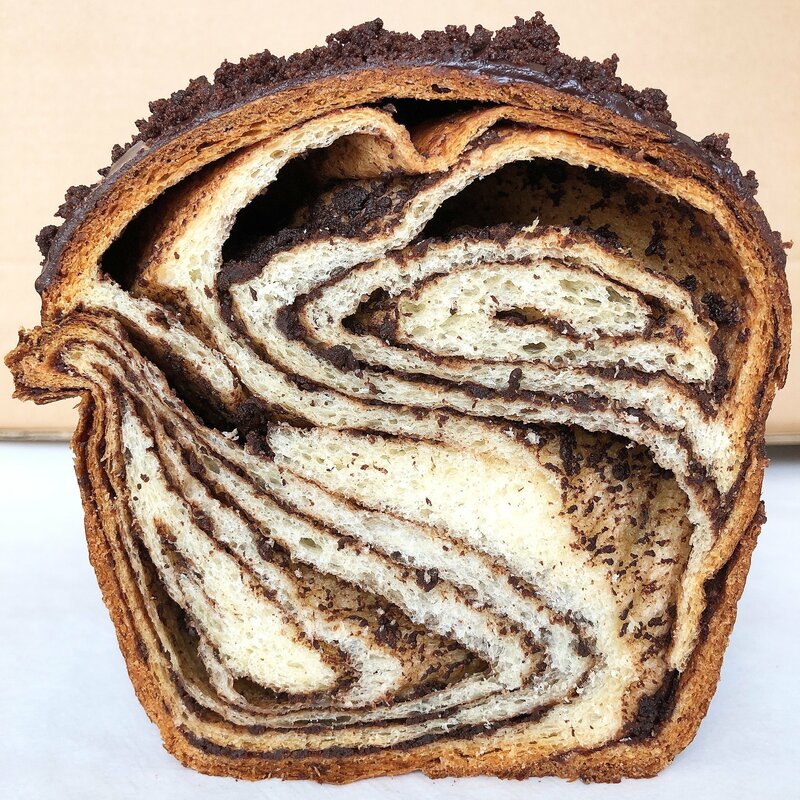 Special items include Brie en Croute, Babka, Take and Bake Morning buns, Cherry Pies, FEW Bourbon Pecan Pies and more. New Years Eve Breads: Country, Red Fife, Beer Bread, Cranberry Walnut, Holmenkollen Rye and Whole Wheat Gruyere. This is the only day of the year that we make the Whole Wheat Gruyere so we hope you give it a try! Both types of dinner rolls will also be available. Special items include large Apple Galettes, Babka, Brie en Croute and more. To download our Christmas Eve and New Years Eve order forms, click the highlighted links. The Christmas Eve order deadline is Thursday, December 20th and the NYE orderdeadline is Thursday, December 27th. A full selection of bread, pastries and sweets will be available on both days. Come early for best selection as we are not able to accept phone reservations for those days. Please note that we will be closed December 25th and 26th and January 1st and 2nd to allow our staff to enjoy the holidays with their families. A reminder regarding order pick up – if you are just picking up your order go directly to the order table near the espresso bar. If you are purchasing additional items you will need to go through the regular line and then pick up your order at the table. ‘Tis the season for holiday gift buying, and remember that shopping local – and small – supports your community. You’ll probably have a better experience too. Sure, online shopping is convenient, and yes, the mall allows you to hit several stores at the same time. However, shopping at local, independently owned stores is a much more unique and personal way to purchase your holiday gifts for family and friends. 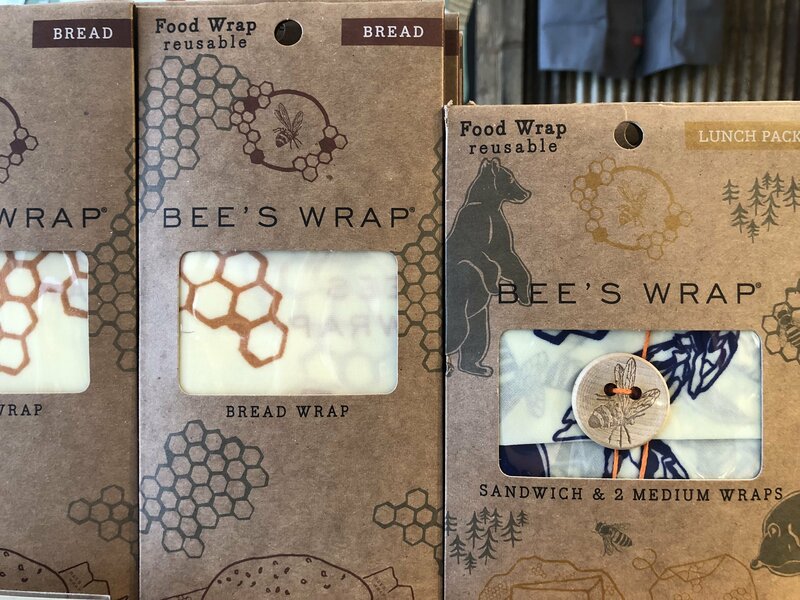 We have some wonderful items for the Hewn fan in your life, including gift cards, Hewn apparel, Helen Round linen bread bags and Bees Wrap. LOTS of flour is arriving this week from our local farms. 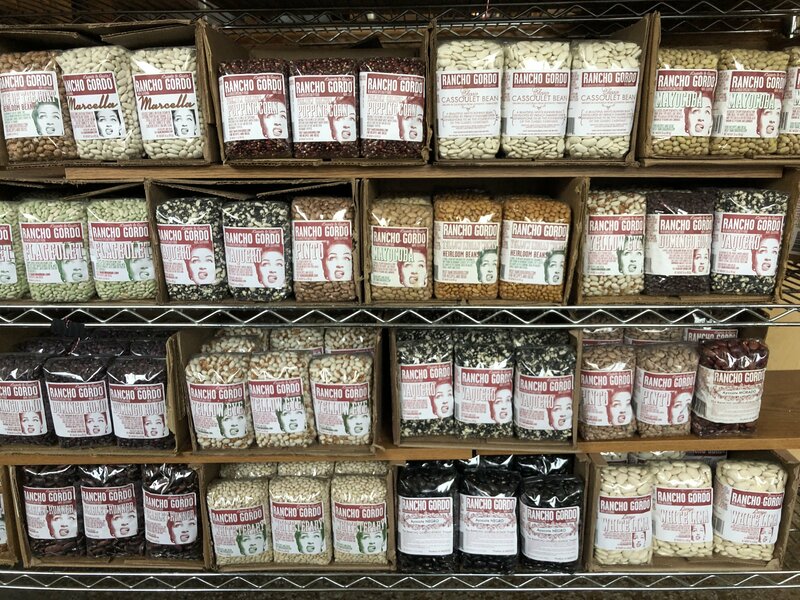 And, we have everything that pairs well with bread, such as locally made jams, olive oil, honey, Home Plate Peanut Butter, and more! 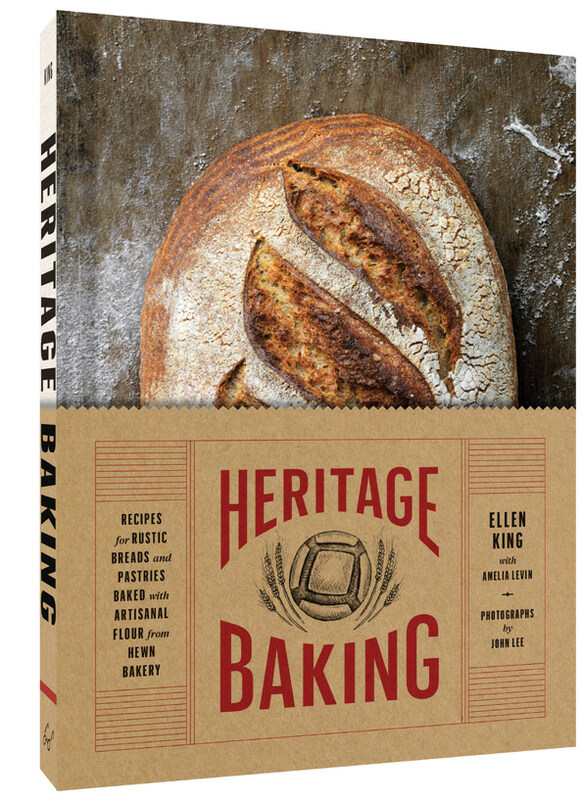 Of course, don’t forget to pick up a signed copy of Heritage Baking – the perfect gift for anyone who loves bread, or who wants to learn more about baking with local flours. All the books sold at the bakery are signed…and just ask if you would like Ellen to personalize the signing. 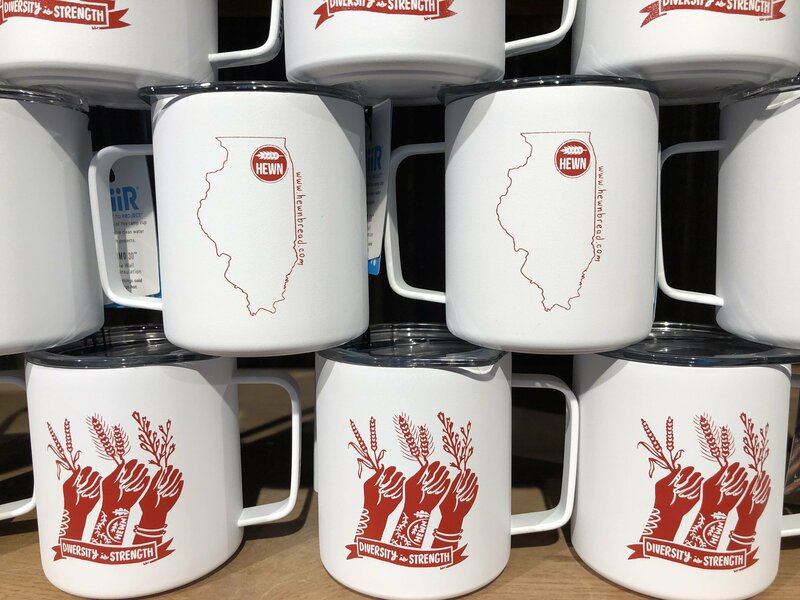 This season, we are particularly excited about our new MiiR Camp Cups. Designed by our very own artist in residence, Hannah Ross, this 12oz cup is vacuum insulated so you won’t burn your hands (or melt your face) when you are at work, home, or camping. It features a press fit lid to prevent spilling and a convenient handle to make picking up your coffee mug a little easier. You can use it for your coffee, tea, or your favorite drink you want to keep hot or cold. Better yet, MiiR sets aside a portion of revenue from the sale of each cup, which is earmarked for their giving initiatives. These cups just arrived at the store this week, so stop by and take a look! We hope you like them as much as we do. We are also in the process of finishing up our “Make Your Own” Gingerbread Cookie jars, with artwork done again by our very busy Hannah Ross. Each jar will also come with a small gingerbread man cookie cutter, making this a perfect holiday gift! 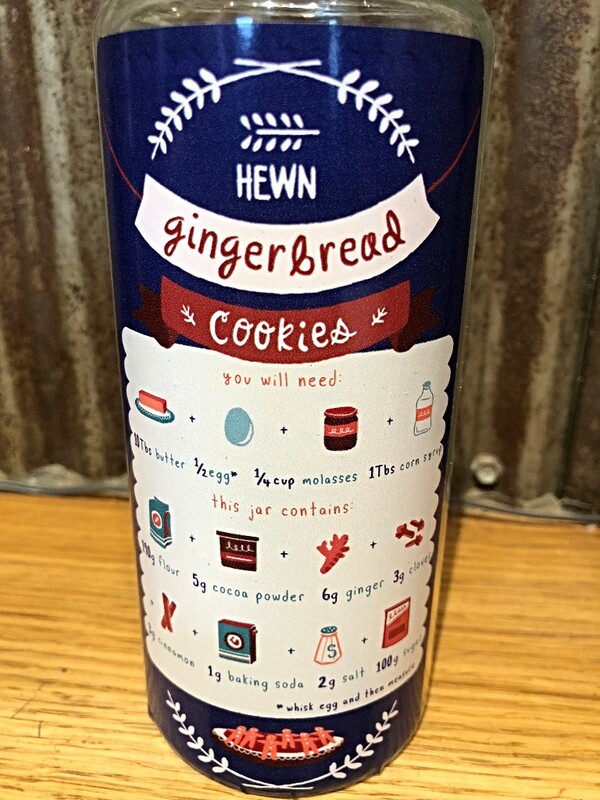 From all of us at Hewn, thank you for including our bakery items in your Thanksgiving celebrations. It was, by far, the busiest day in our history. 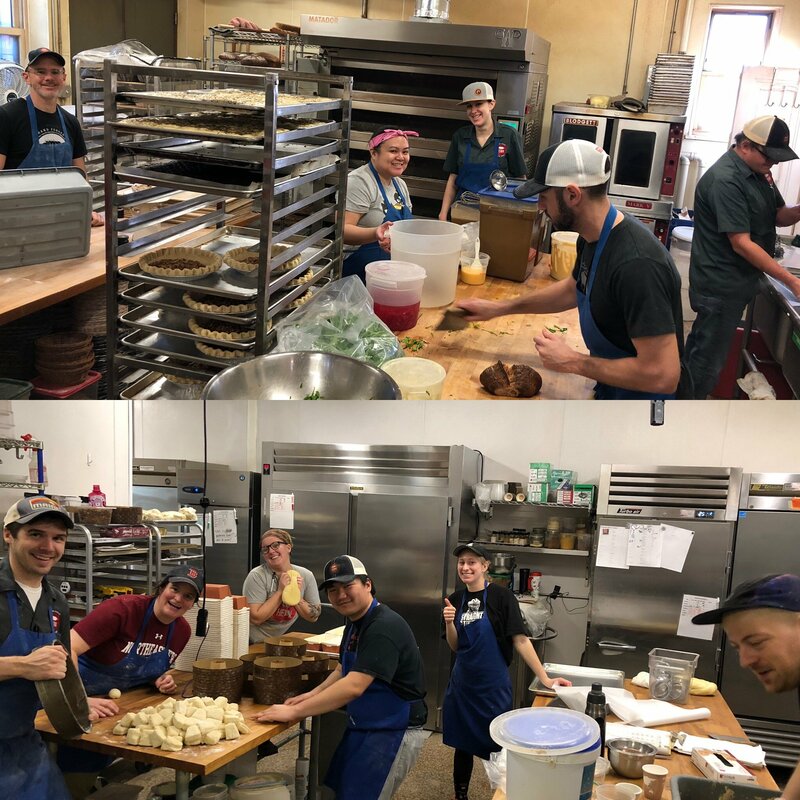 Our team worked tirelessly to make hundreds of loaves, pies, gougeres, morning buns and more during the two days before Thanksgiving. It truly was a group effort! Kudos to everyone for all of their dedication and hard work. We’ve started to play our own version of Where’s Waldo? at the bakery this fall. 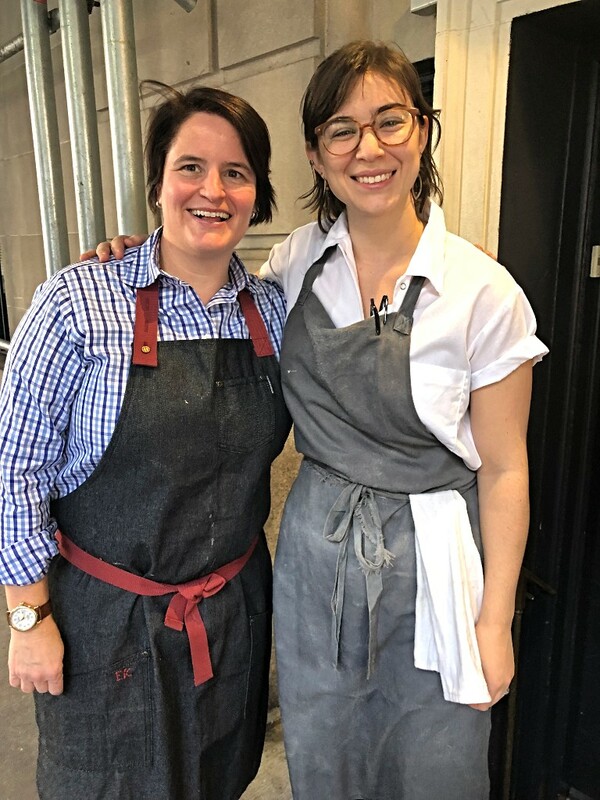 Only ours is called “Where’s Ellen?” Well, Ellen is winding down the cookbook tour these next few weeks. 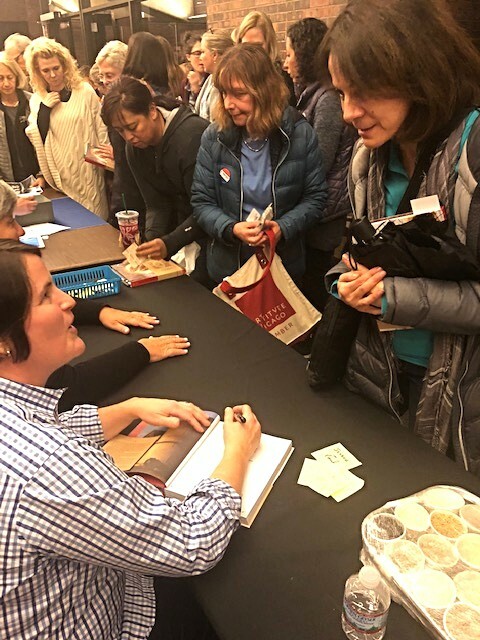 It has taken her near and far….from a FAN event at New Trier to doing classes at a wonderful NYC restaurant, to book signings and appearances in LA and Seattle. We are all humbled and thankful for the positive feedback we have received about the book. 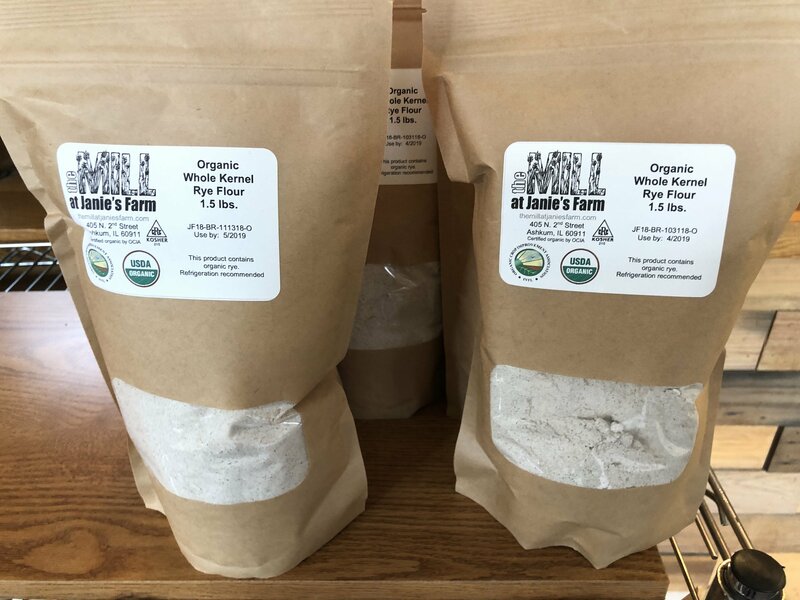 And, we hope it sparks increased interest in sourcing local, organic flours. 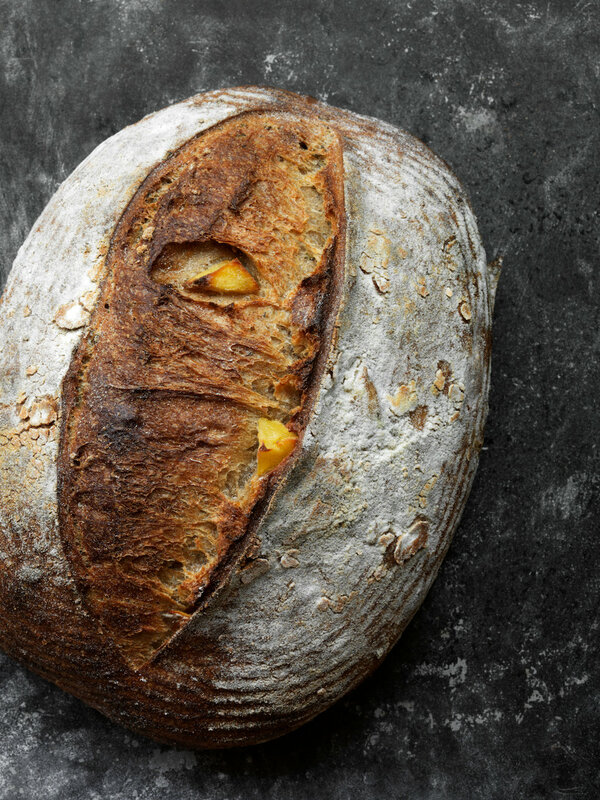 (To download our regional flour guide, click here). Below are a few pictures from our recent travels. Thanks, as always, for your support of Hewn. Happy Holidays, and we hope to see you at the bakery soon!